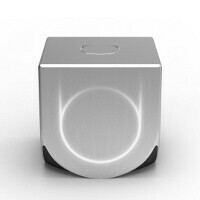 Ouya is not yet a reality, but it’s nonetheless a project definitely worth your attention - it’s a $99 Android game console that got its design straight from famous Frenchman Yves Behar and with the idea of being free and hackable. The design is an amalgamation of Behar’s ideas and input from fuseproject, the very same folks who brought us the brilliant design of the Jambox external speaker. Hacking the Ouya is actually part of the whole idea, it’s actually build around the idea to be a developer kit, which you can use to root and build peripherals. Android is the embedded OS, so we expect that developers will not only build games for the console, but can also easily leverage games from the Android platform. Interestingly, after you get the console all games are expected to be free. You just hook it up to your TV and play. This is definitely one of the most interesting TV boxes we’ve seen in a while, so we’ll be keeping a close eye on this. In the meantime let us know, how do you like the idea? Looks just like xbox360 dashboard before its latest visual update hah. Sorry but I don't like the idea..... I love it! OMG yes. This should be a kickstarter project. This would be a good box to have some good ol' emulation on the TV. Wow I could actually see this happening in the near future and I could also see Apple make a game console as well.